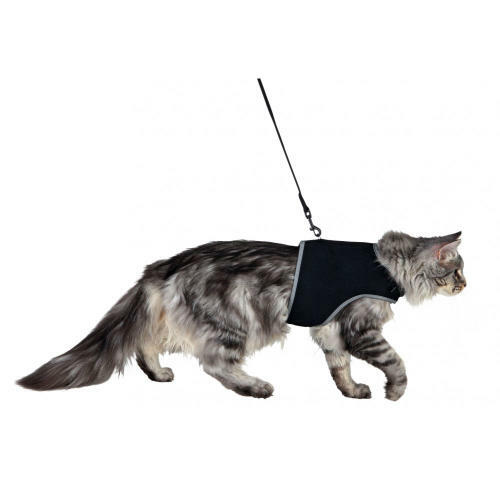 The Trixie Soft Harness provide owners with the means to let new or nervous cats outside the home without the fear of them scuttling off. Comfortable to wear due to the soft padding and featuring an extra snap buckle to ensure a safe grip, the Trixie Soft Harness ensures your cat will remain safe and well as comfortable. Also fully extendable at chest and belly and ensure the perfect fit. The lead measures 1.20m.